Christmas, it's an odd time of year when you think about it. Getting together with your family can get even stranger, especially when you throw some distant relatives and eccentric in-laws into the mix. Your family may well have a few strange Christmas traditions of its own, as many do, but few are as strange as these. As a child I was given once given the honour of arranging the nativity scene - a task I undertook with great enthusiasm. I started by adding extra animals, plastic lions and elephants and such, eventually graduating to dinosaurs. I figured they were all God's creatures so the more the merrier: baby Jesus wouldn't mind, right? Still, since they were dangerous creatures I felt it prudent to add some extra security, so Jesus was guarded by Chewbacca, Grimlock kept the three wise men in line and a full packet of WW1 infantrymen were fanned out around the manger in what, to my child's mind, were strategic formations. My mother wasn't happy, to say the least, but my grandmother found it hilarious. So much so she decided to make it an annual tradition. Visitors to my grandmother's house found it weird that her manger was full of plastic soldiers and Transformers, which is probably why she liked it so much. A break from tradition, you might think? Well, not really because, as you'll see, Christmas is actually full of weird traditions. Santa Claus can bring many things down the chimney, but not a husband. Squeezing one down the flue is difficult in and of itself without the fact that they tend to come out all sooty. And sooty footprints on the carpet can result in divorce before marriage. In the Czech Republic they've devised a simple solution – just stand with your back to the front door during Christmas and throw a shoe over your shoulder. If it lands with the toe pointing towards the door you'll find your dream husband within the year. Ukrainian Christmas trees are often adorned with spider web decorations – a symbol of good luck. This tradition has its origins in an old folk tale about a woman who couldn't afford to decorate her tree. On Christmas morning she woke to find that it had been festooned with glittering spider silk. Scandinavia has no shortage of exotic Christmas traditions, as you might expect from countries closest to the North Pole. While Nordic culture, and its ancient festival of Yule, helped shape modern Christmas traditions, including the Christmas tree, many of their Christmas traditions will seem particularly alien to us. Most famous of these is the Christmas Goat, a symbol that's popular in both Norway and Sweden and has its origins in pre-Christian times. In the Swedish town of Gävle a giant goat of straw is built in the town square. Though Swedes are generally a conservative and law-abding bunch, the goat proves too tempting a target, to the point where bookies take bets on how long it will be before someone finally torches it. Another common tradition is Risalamande. The dish, a type of rice pudding, originated in Denmark but is also popular in Norway and Sweden. An almond is hidden inside and whoever finds it will, according to the folklore, get married before the following Christmas. Of course there's no pudding until after you clean your plate. Don't like eating Brussels sprouts? Well at least you're not in Greenland where traditional Christmas fare includes raw whale blubber, known as Mattak, and Kiviak, a dead sea bird that's been rotting and fermenting for months – bon appetit! In neighbouring Iceland, meanwhile, the shiftless and shirtless fall prey to the Christmas Cat. Children who finish all their work and get new clothes before Christmas are rewarded, those who don't are devoured! Ravenous and judgemental felines aren't the only cause for concern, however. Christmas Eve in Norway is analogous to Halloween, a time when evil spirits and witches roam the land – so Norwegians make sure all their housework is done ahead of time then hide their broomsticks should the witches take flight! In Finland and Estonia, meanwhile, families keep warm on Christmas Eve by heading to the sauna! Weird and Japan go together like Christmas pudding and brandy butter. So learning that their Christmas traditions are wildly unorthodox should come as no surprise. Japan doesn't have a large Christian population, roughly estimated about 1 - 1.5%. The majority are Shinto or Buddhist, though Otaku, their culture of obsessive devotion to pop culture phenomenon, is universal. The closest phrase we have in English to an Otaku would be a fanboy or perhaps a trainspotter, but even the UK's biggest anoraks look like lazy amateurs in comparison to the overly zealous Japanese. Therefore you'll see plenty of Christmas trees and Christmas cakes for sale, but you'll also see plenty of other strange traditions that seem to have no connection to Christmas whatsoever. Take the Japanese Santa Claus, or Santa Kurōsu, as he's known. Japanese images of Santa Claus may seem strange to Westerners, but that's because in Japan they've merged him with other native characters, including the Orient's favourite jolly fat man, Buddha. But Buddha's not the only icon to get mixed up with Santa Claus in Japan. Colonel Sanders, who also sports a big white beard, must get mistaken for Santa too, since he enjoys a ten-fold increase in sales come Christmas. While the rest of us are eating turkey the Japanese, for whatever inexplicable reason, swarm their local KFC at Christmas time to such a point where it's often advised to book your bucket of chicken weeks or even months in advance! Going to church early on Christmas morning is a common tradition throughout the world, but what sets the people of Caracas, Venezuela apart is their method of getting there – rollerskates! Streets are closed to traffic from eight in the morning as the city's holy rollers skate their way to mass. Would be cool to see, but somehow I can't see it catching on over here. Looking to mix up your Christmas food this year? Then how about embracing the Polish tradition of serving carp instead of turkey. In Poland, it's traditional to serve up this particular fish on Christmas Eve, which is when the main Christmas celebration is held, instead of the 25th. The carp is however, just one of twelve individual courses that grace the average Polish Christmas dinner table. Why twelve you ask? One for each of the apostles. If you're feeling particularly superstitious, it is said that by taking one of the carp's scales and placing it in your wallet will bring you good fortune in the year ahead. Last but not least we come to jolly old Britain. While our traditions might not be as out there as some of the ones we've just covered, we do like to quietly get on with our unique set of Christmas events. Carol singing is still a popular event in the run up to the 25th, and thinking about it now, turning up at someone's door and loudly singing at them might be viewed as a strange enterprise in cultures that don't share the practice. Many of us still gather around on Christmas Day to watch the Queen's Speech, although more recently the Doctor Who Christmas Special has taken pride of place in the nation's Christmas viewing. That being said, TV at Christmas is generally an excuse for everyone over the age of 30 to doze off for a while to enjoy some time away from the family and to do some serious digesting. While worthier souls still trek down to church for Christmas Eve hymns us heathens opt for the traditional pub visit, to guarantee the big day is spent nursing a sore head. Christmas constipation is one universal tradition Catalans clearly aren't shy about. Healthy bowel movements are to be celebrated openly, and are at the subject of two of their most famous traditions. 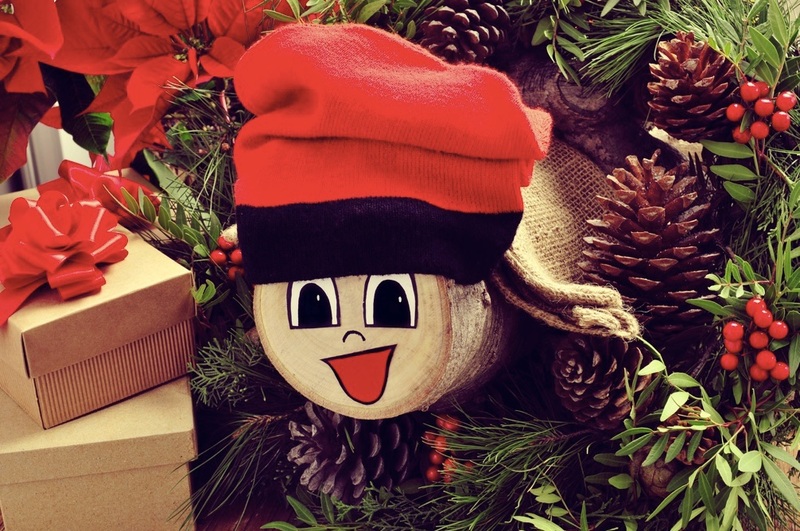 First they have the caga tió – a "crapping log" for all intents and purposes, with a smiling face on one side and a little blanket on top to keep him warm. The log is "fed" and later burned to bring good luck. Stranger still you have caganers, tiny figuirines with their trousers down, backside bared and doing what bears do in the woods without modesty. These are said to be symbols of luck, fertility and good fortune (not exactly sure why) and are actually placed in with nativity scenes. So here's Jesus, here's Mary and Joseph, here's the Three Wise Men, and here's a garden gnome taking a dump. Even as a child I would have found that strange. More recently companies have started to make celebrity caganers. Go to a Christmas market in Barcelona and you'll find famous footballers, superheroes, the pope, and politicans like Barack Obama, Vladamir Putin and Angela Merkel. You'll be happy to know that British politicians are also popular – which is hardly surprising since they're particularly full of it! Of course not all Spanish Christmas traditions are quite so eeeh... biologically orientated. Some are quite magical, such as the world-famous Spanish Christmas Lottery, the biggest and most generous lottery on the planet. The Spanish celebrate this lottery as a national event, with over 90% of the population buying tickets! With a one in seven chance of winning a prize and a prize pool of £2.1 billion it's easy to see why. 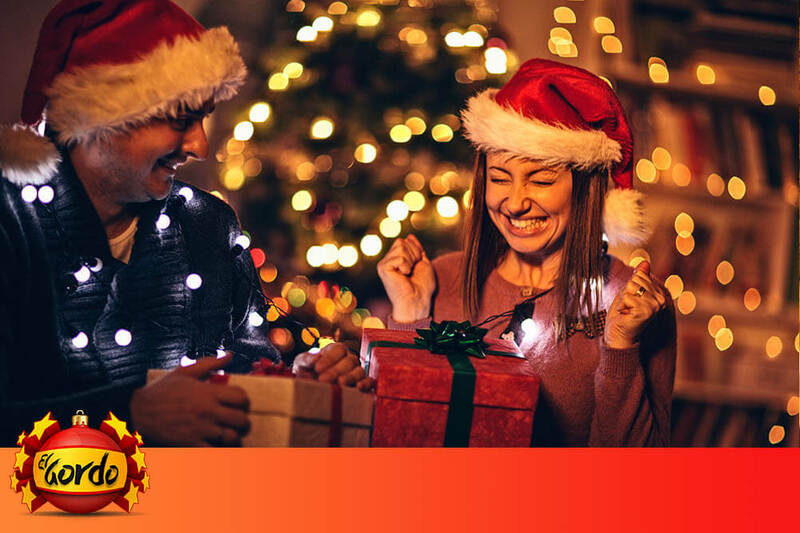 You can now enjoy the same festive generosity here at Lottoland by betting on the results of the Spanish Christmas Lottery, with odds of just 100,000:1 of winning the jackpot, a.k.a. El Gordo!